We all need to schedule pleasure and fun back into our lives, and there’s no better place to start than planning your next vacation - or month long sabbatical!! It’s time to start making travel a priority in order to recharge your life, bring you new experiences, and make incredible memories with your family. The problem is that we’re too busy, we think we have too much to do, or we don’t make travelling and fun a priority. THIS IS A HUGE MISTAKE! Susie Chau of Carpe Diem Traveller joins us today to talk about how travel can refresh your mind, your body, and bring amazing clarity and experiences into your life. Travelling can open your mind and your heart to new, incredible ideas and inspiration! She also gives us tons of advice around how to make travel a reality no matter your time or money budget!! Click below to listen on iTunes! Susie Chau, founder of Carpe Diem Traveler, helps burnt out professionals take a month long sabbatical to explore the world and themselves. She took two month long and one year long sabbaticals throughout her 13 year career as a Management Consultant, all while keeping her job and moving up the corporate ladder. Susie's love of travel inspired her to open a travel agency to help people get outside their comfort zones and open their minds to new possibilities. She has combined her travel planning, consulting, and sabbatical expertise into a program with a step-by-step roadmap to planning a month long sabbatical in 30 days. Today is the day that you say NO to feeling underappreciated, undesired, and plain stressed out. Today is the day that you say NO to lackluster relationship, and you stop holding yourself back from true happiness and epic love. The problem is that we are looking outside for the greatest communication tricks, the latest “relationship fix” book, or a blog that will magically fix our relationship. But, the truth is these things won’t work until you shift your mindset and neuro-hack your brain for incredible inner and outer love. Your mindset impacts everything in your life - especially your relationship.How you respond to your partner, how you communicate, how close you feel to your partner, and how much you allow yourself to be cherished and adored. Over the last week, I released a 5-part FREE video series that broke down a powerful framework that will reprogram your mind and help you create a relationship where you feel heard, understood and desired. And today, Wendy and I are going to hand it to you - cliff notes style!! If you want to truly create happiness and transformation in your relationship - then this is where you MUST start...because if your brain is operating off old patterns and sabotaging beliefs...then there’s no chance for change. P.S. If you are ready to create major transformation in your relationship - check out the Relationship Mindset Bootcamp!! Click here to learn more. Understand why your brain doesn’t want you or your relationship to change, and how to get around this. Get the 4 keys to creating an Epic relationship and life. How your unspoken thoughts may be destroying the connection between you and your partner and how to change it immediately. Learn why you have a hard time controlling emotions in your relationship and what you can do about it so you can stop the arguments and truly start connecting. How to love more, create more and experience more joy! We all have to learn to let go sometimes...to release the overwhelm, guilt and stress of our lives and truly step into our purpose and mission. The problem is that we’re overworking ourselves, are filled with guilt, and aren’t taking the time to reflect, learn, and create a more purpose-drive, fun, and joyful life….until a HUGE life tragedy or illness strikes. Tracy Calvert, a certified soul centered success coach, knows this experience all too well. She was overworked and suffered a tragic physical injury that left her in incredible pain, and was no longer to work and serve. Until...she discovered that she had the inner power and will to heal herself and create a life on her own terms. A life of joy, epic experiences and massive success! Today, Tracy is going to be sharing some major truth bombs, and magic that will help you step out of the F.O.G. of stress and overwhelm so that you can create a life full of love, creation, and joy! Learn how to give yourself permission to “let-go” of stress & overwhelm. How to release guilt & shame for good. Why being “strong” may not always be the answer. Episode 23: Overcome These 3 Challenges And You Will Become One of the Happiest, Most Successful People You Know! Vibrant leaders must overcome 3 HUGE life challenges in order to create true success, abundance & joy in their life. The problem is that most people will NEVER reach their full potential in life because they are focusing on the wrong areas….or just trying to do too much! Over the past two years, I’ve been trying to distill everything I know from two decades of brain & psychology research into a simple framework to help people quickly transform their lives. I’ve wanted to know what is the ONE thing that will have the biggest impact to those I work with and to the world. Unfortunately, I couldn’t limit it to ONE thing….but I’ve discovered that there are 3 SECRETS - 3 challenges that you must overcome - if you want to reach your full potential and become the happiest, most abundant, most successful version of yourself. And in this podcast, I’m finally releasing this magical blow-your-mind system! If you are able to overcome these three universal challenges, YOU WILL DISCOVER incredible transformation and unlimited potential & joy in all areas of your life. So, are you ready to discover the 3 SECRETS?? Dive in here…. Discover where you are currently in life and how you can become the Vibrant Leader you are meant to be. Understand why focusing on “How You Want To Feel” is much more important than “What You Want To Have”. Learn how to break free from the chains and beliefs that are sabotaging your life, so that you can stop living in mediocrity and become limitless! HOW TO STOP AVOIDING CONFLICT & OVERCOME FEAR WITHOUT ADDED STRESS! Vibrant achievers face their fears & challenges head-on.The challenge is that facing your fears and problems head on can cause some anxiety. It can make you feel so uncomfortable. But, avoidance is making your life small, keeping you from reaching your goals, and ruining relationships...every single day. Use this process in your life now, and you’ll never miss a big opportunity again because of fear! You’ll open up more possibilities, and fix problems quickly and without anxiety & stress. Discover how to face your biggest challenges and problems with courage and confidence - so you can live your biggest, most fulfilling life. Understand how avoidance is holding you back in relationships, opportunities, and reaching your goals. Learn how to overcome resistance and anxiety when facing challenges and fears. Get two techniques for relieving fear, stress or anxiety QUICKLY, so that you can crush your goals! So, how will your life expand when you finally face what you’ve been avoiding? Let us know in the comments, or click here to join the discussion in the Heal To Transform community. I’ve come to find after years of working with clients to heal their past so they can overcome their fears and blocks - that there are four main fears that are keeping you stuck. If you can discover these fears - and start to push past them - you open up a whole new world for yourself. You stop holding yourself back. So - I’m going to give you the FOUR biggest fears and give you an example of each - then I’m going to break down some simple ways to push past your fears. Often - all it takes to rewire your brain for success is the learning experience - the knowledge that you gain - this new knowledge creates new connections in your brain. And this knowledge will set you up for change and EPIC growth!! Dive into this podcast, it’s going to be so incredible! In today's episode I'm talking with one amazingly courageous woman who's overcome trauma of a toxic mother, childhood molestation, and has rebuilt tumultuous relationships with her daughter. Dr. Melissa Halstead has achieved extraordinary healing and continues to spread her love & caring to her students, family and her community. Today, you're going to hear her story of how she's done all of this in less than 6 months and how you can do it to! 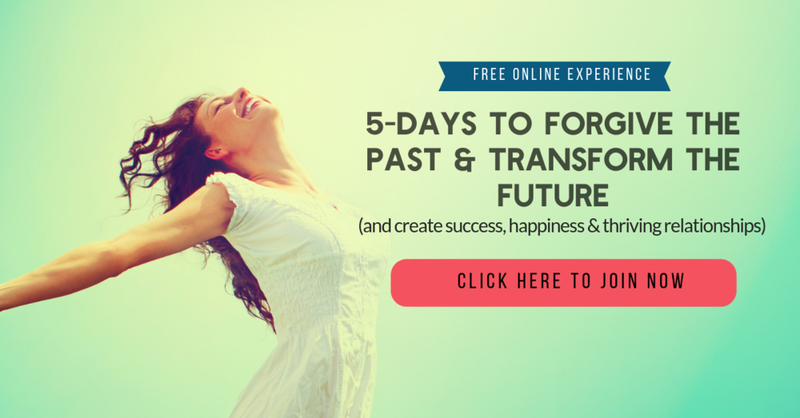 If you would like to learn more about how you can become more courageous & daring through healing your past….then I invite you to join me for a FREE Online Workshop on January 14th or 15th, or click here to learn more. Episode 16: Procrastination, Indecision & Perfectionism, Oh My! Now, another form of procrastination is not following through - this is just procrastination on the back end of the activity. You start - you just don’t finish. Raise your hand if this is you! Okay, shout out loud if you have the hardest damn time making a decision! And lastly, give me a big nod if you consider yourself a big of a perfectionist! In today’s Heal To Transform podcast, you’re going to discover exactly why you procrastinate...why you have such a hard time making a decision….or why you have an overwhelming need to do things perfectly. And, you’ll figure out a quick way to get rid of these sabotaging habits! If you ever feel anxiety, stress or overwhelm…. P.S. Grab your FREE guide to crush anxiety, stress & overwhelm - it’s the perfect companion to this episode of Heal To Transform. Just click here. Once you’ve listened, make sure to leave a review and let us know your biggest “ah-ha” moment. Which hack are you going to use to start lowering your anxiety & stress?